I’ve been seeing this mask everywhere so I decided to finally give it a try. 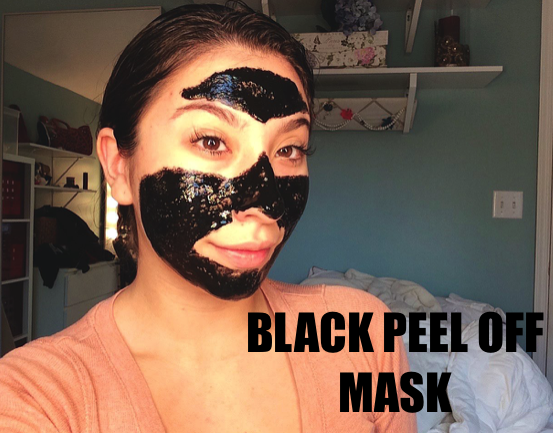 I used the Shills Deep Cleansing Black Purifying Peel-Off Mask which I purchased from Amazon. It is supposed to remove dulling surface cells & impurities while vitamins & plant extract soften the skin to restore a youthful glow. After I took a shower I just put the mask on with my finger & let it sit for about 20 minutes. It was started to get so itchy & I got impatient so I just started peeling it off. This mask hurts a bit & feel like a whole layer of my face came off so I know it works. You can literally see all your skin cells, blackheads, & vellus hair when it comes off. My skin feels so soft & moisturized!